Real Madrid have released their squad that will take on Melilla on Wednesday night in the Copa del Rey fixture at the Alvarez Claro Stadium. According to Managing Madrid, the Los Blancosâ€™ coach, Santiago Solari released a provisional squad of 19 players. Solariâ€™s men head to the game after their humiliating 5-1 El Clasico defeat to Barcelona in the La Liga last weekend. Defenders: Sergio Ramos, Nacho, Odriozola, ReguilÃ³n, De la Fuente, Javi SÃ¡nchez. Midfielders: Casemiro, Valverde, Llorente, Asensio, Ceballos, Feuillassier. 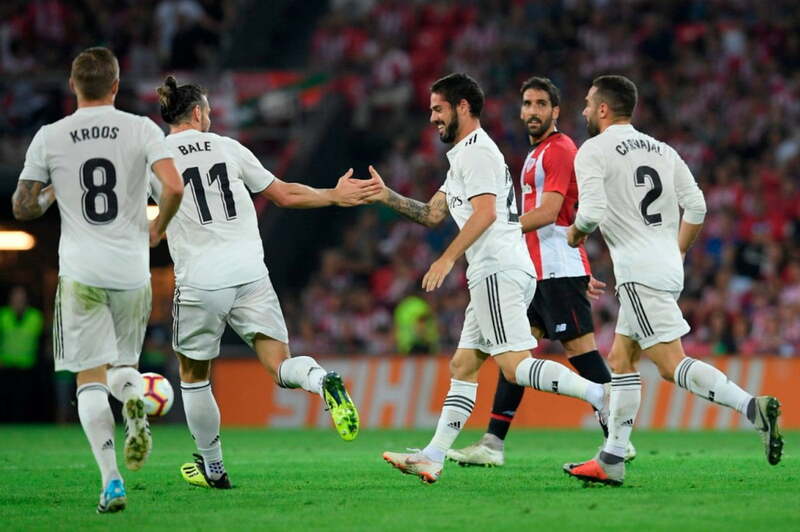 Attackers: Benzema, Lucas VÃ¡zquez, Vinicius, Cristo. The kick-off time for the match is 7:30pm.